Effective Tuesday, April 23rd, the west bound exit at Carling Avenue & Kirkwood Avenue of the Queensway will be closed for construction. For clients coming to our office from the east end of the city, we suggest taking the next exit at Maitland Avenue. Follow detour signs and turn left onto Maitland Avenue, then right onto Carling Avenue, then right onto Kirkwood Avenue, then right onto Laperriere Avenue and finally right onto Lady Ellen Place. This construction is expected to last about four weeks and will not impact clients coming from the west end. As of May 16th, the west bound and east bound exits at Maitland Avenue will be closed for approximately two weeks. Stay tuned for a further update on our recommended detour during that two week period. Although, as accountants, we might not be able to take a long weekend in the middle of tax season, we still take some time off on Friday to enjoy a Lone Star Fajita Feast. On Saturday night, Hendry Warren’s Jaime Wendland, Shaina Watt, Brock McDonald and Tyler LaSalle swapped their calculators for cocktails and joined the Ottawa-Carleton community at the 19th Annual Loaves and Fishes Gala. Last year, this event raised over $155,000 in support of the Loaves & Fishes Fund, and we are sure this year did not disappoint. Last night, HWLLP's Shaina Watt and Michelle Bouchard attended the Women and Philanthropy panel discussion put on by the Queensway Carleton Hospital Foundation in collaboration with TD. The panelists - Leah Levesque, Jo-Anne Ryan, Karen Sparks and Susan Prior - discussed the findings of TD's recently issued report "Time, Treasure, Talent: Canadian Women and Philanthropy" and provided reflections and insight based on their experiences as philanthropic leaders in the Ottawa community. As women's influence over wealth in Canada continues to rise, understanding their unique approach to giving and values is a must for charities. Many property owners rent out their properties to their tenants through long-term traditional rentals. However, the introduction of online platforms such as Airbnb and VRBO have made it very easy for property owners to rent their properties to guests for short-term stays which can provide significantly more income than traditional long-term rentals or can simply provide supplemental income when their property might otherwise be vacant. Income tax and sales tax implications must be considered before renting properties using these online platforms as there can be significant tax implications in doing so. The deadline to file your 2018 T1 is April 30th. If you would like our assistance with the preparation of your T1, please do not hesitate to contact our office. It was Jenny’s misfortune to return from maternity leave on April fool’s day. We are very happy to have her back and doing our best to help her settle in to tax season. On March 19, 2019, the Liberal government tabled its spring budget. In terms of income tax measures, there were not a significant number of changes. If you would like more information regarding the budget changes, please see our Resources page, or contact our office. Last Thursday, 13 Hendry Warren staff members volunteered at a personal tax return clinic at the Glebe Centre. The clinic was offered to low income taxpayers who would have otherwise been unable to afford to have their personal tax returns prepared. A special thanks to all staff who attended the event and gave up their time during this very busy time of year. It’s the Oscars for CPAs! This afternoon, Muhamad Adatia and David Ienzi were privileged to attend the Government of Canada’s Budget Speech at the House of Commons. The Budget, presented by Finance Minster Morneau, outlined the government’s financial direction and fiscal plan as well as the new incentives that will be available to Canadian taxpayers in the coming years. Hendry Warren’s budget analysis will be released tomorrow - stay tuned! Hendry Warren is half way through our 90 day activity challenge, which has encouraged our staff to stay active during busy season. And what better way to break a sweat than hitting the slopes after work? This Tuesday evening, some of the staff members took advantage of Camp Fortune’s 2-for-1 deal to get some fresh air and enjoy some great company! Thank you to Menard Kinkaid Wealth Management who hosted an informative presentation on March 7th titled ‘How To Survive A Bear Attack’ by Phillip Petursson, Chief Investment Strategist at Manulife Investments. It was great to connect with your team - James Kinkaid, Susan Moore, Rob Meredith, Roger Heard, Brianna Barber, Danielle Goddard, Kathy Massine. · Negative calendar year returns are rare outside of recessionary environments. · Positive feelings on the Canadian banks and energy stocks. · Money being put to work in the US and Global markets makes sense. New payment option at HW! Did you know that Hendry Warren is now a registered payee with most banks to facilitate on-line payments? You can easily pay your corporate or personal invoice through your normal on-line banking system, at your convenience. What better way to bond with our newest team member, Paul Rutherford, than to host an office potluck! Paul has joined the HW team as our new corporate controller and we're thrilled he's come on board. Join us, on March 21st, for a half-day forum featuring insights and management best practices from the region’s leading national, international and regional associations. This forum is part of a new project called the Ottawa Association Exchange (OAX) and is designed to help association leaders build stronger, more resilient associations. Connect with fellow association executives and exchange strategies for tackling key operational issues, and gain insight from workshops and an expert panel on best practices in association leadership, focusing on issues like membership engagement, identifying new funding sources, board governance and financial best practices. Are Tips and Gratuities Taxable? Grade A & Sugar Sugar Cookies! 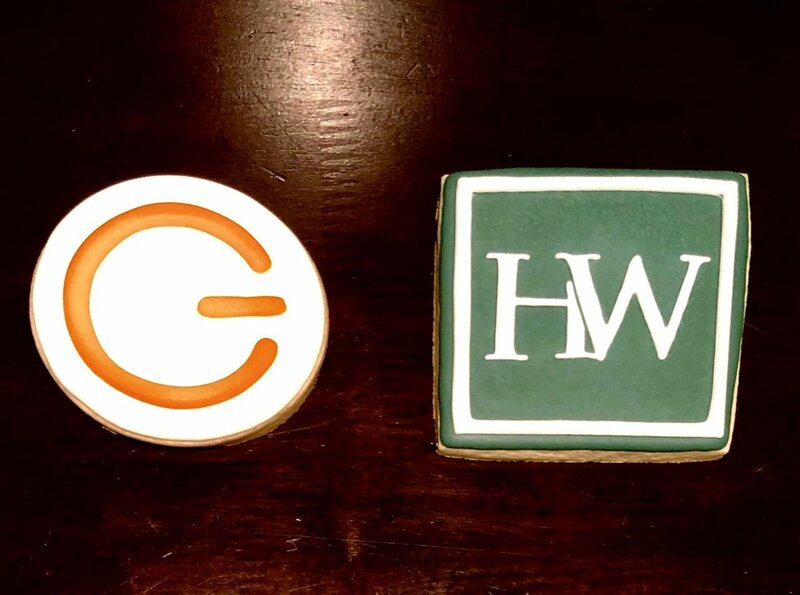 Not only does Grade A seamlessly manage our IT infrastructure and provide critical IT support to our growing business, they also personally deliver special treats for our whole staff! We’ll take this opportunity to say thank you to the whole Grade A team for its amazing support and for feeding our collective sweet tooth. In case you were wondering, these Sugar Sugar Ottawa sugar cookies were divine! Hendry Warren LLP sponsored a bed pushed by the Sir Robert Borden High School Key Club. Key Club is a student led organization whose goal is to encourage leadership through serving others. The 2019 Accora Village Bed Race was held on Saturday February 16th on York Street in the Byward Market as part of the Winterlude Festival.